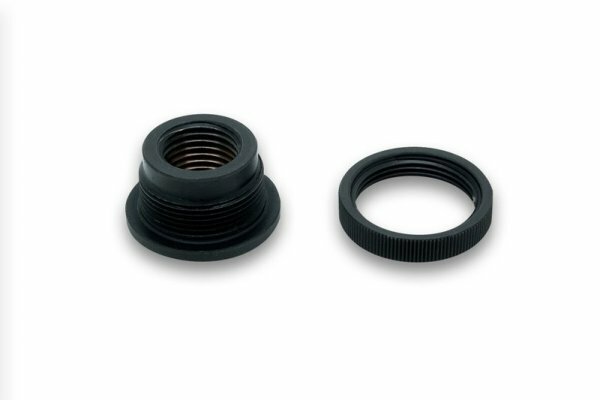 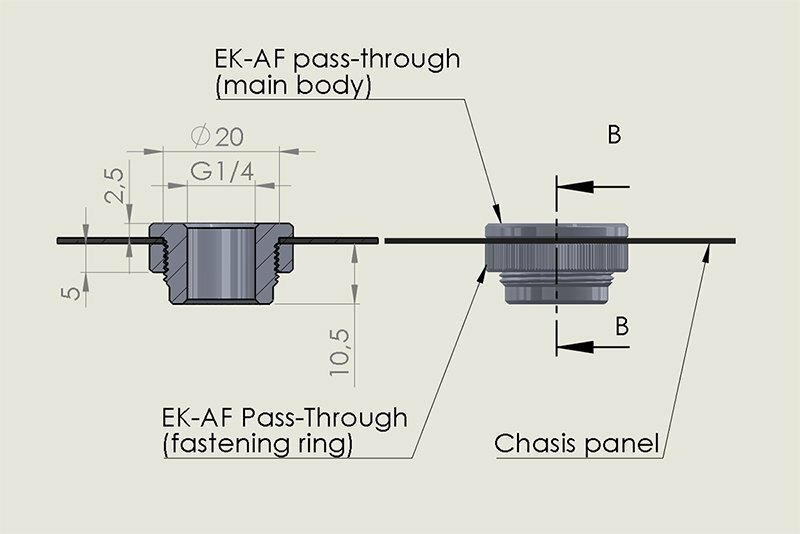 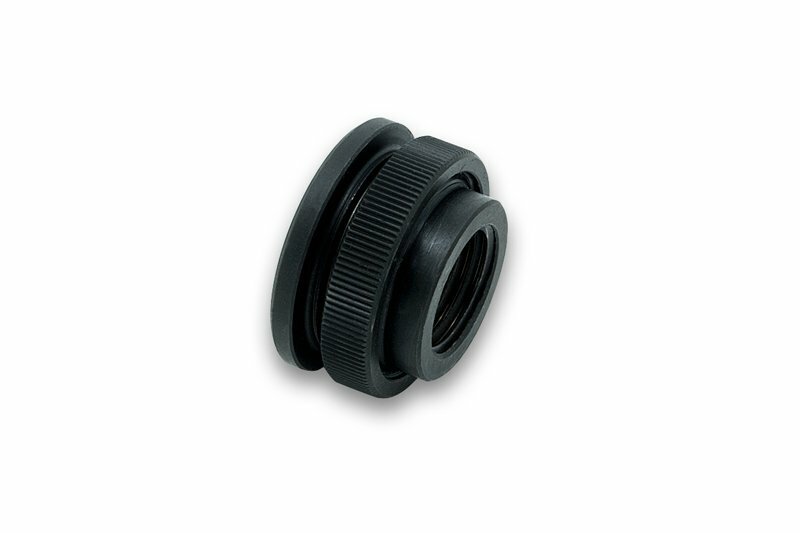 EK-AF Pass-Through Fitting is panel mounted adapter fitting with female G1/4″ BSP threads on both sides of the fitting, allowing easier liquid interconnection between different chassis compartments. This Adapter Fitting is secured to the panel with the enclosed grip nut. 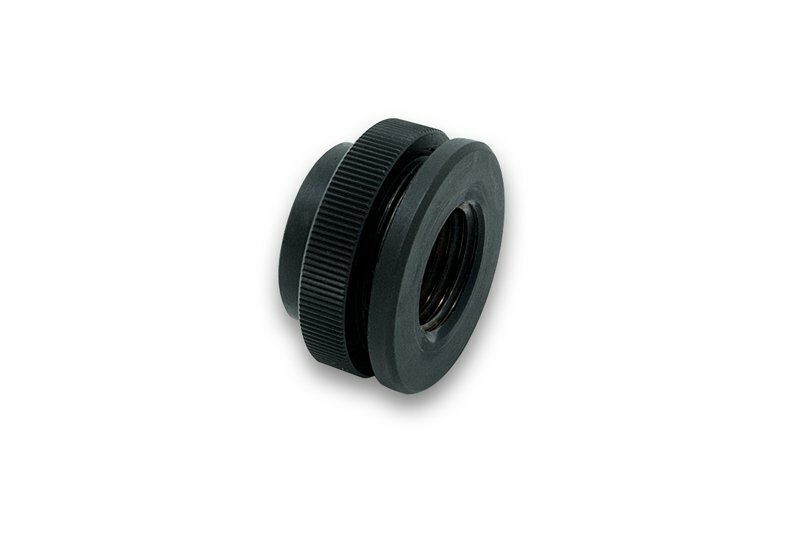 Made from chrome-plated CNC machined brass. Technical data: Threading: 2 x G 1/4″ (Female – Female) Thread length: 14mm Diameter: 25.0mm Height: 14.0mm ROHS 2.0 compliant!